Nurture your creative side with this complete Art Box Set! This all-in-one artist's kit has everything you need to create your art masterpieces - it comes with crayons, colour pencils, oil pastels, watercolours, sketch pencils, paint brushes, pencil sharpener and eraser. 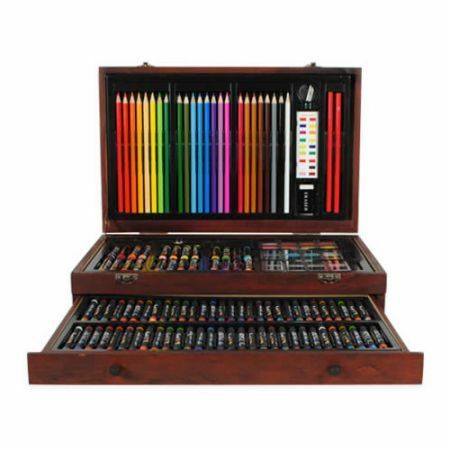 All conveniently packaged in a stylish wooden art box with artist drawer for easy storage and portability.